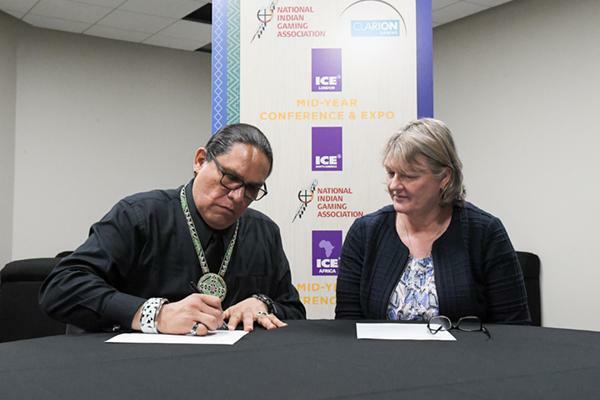 National Indian Gaming Association Chairman Ernie Stevens, Jr., and Kate Chambers, Managing Director of Clarion Gaming signing the strategic agreement of support between ICE and NIGA. 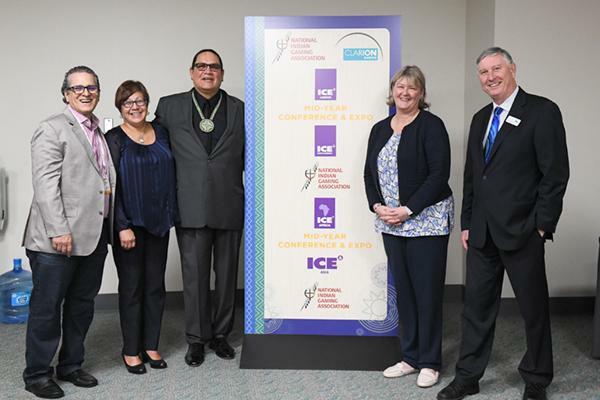 San Diego, CA – April 04, 2019 – Kate Chambers, Managing Director of Clarion Gaming and Ernest L. Stevens, Jr., Chairman and national spokesperson for the National Indian Gaming Association, have inked a strategic agreement of support between ICE and NIGA. The forthcoming ICE North America, taking place across May 13 –15, Boston (MA), will be the first high profile gaming industry expo to benefit from the partnership between what are two of global gaming’s best known and most respected event brands.